20% off ALL PRODUCTS with code FRIENDS18 at checkout from now until Nov. 15! YOU GET 20% OFF, YOU GET 20% OFF, AND YOU GET 20% OFF!!!!! Hi, I'm not Oprah, but I AM here to tell you that Tatcha is having a 20% off sale on ALL OF THEIR PRODUCTS! That's right, you get all the cult-favorites on major discount from now until Nov. 15th! Use code: FRIENDS18 at checkout. Did I mention every Tatcha product is cruelty free and some are even vegan! 1. 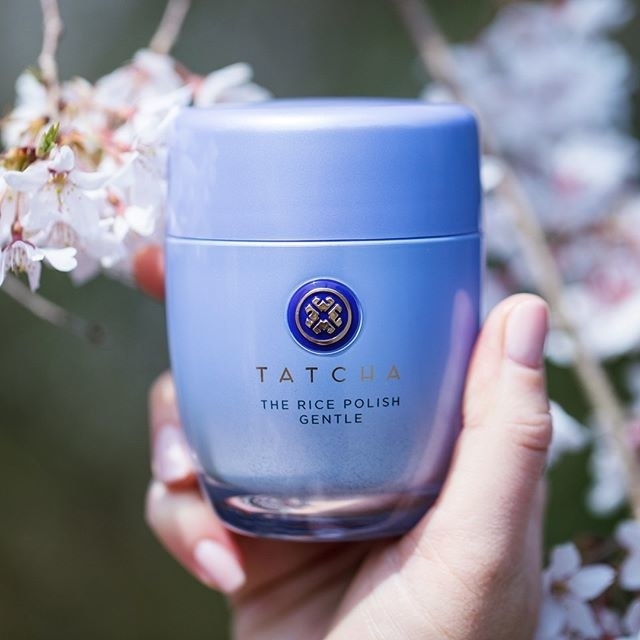 The Water Cream melts into your skin with an oil-free formula packed with nutrient rich botanicals such as Japanese Wild Rose & Leopard Lily to hydrate and reduce pores. It also won't leave your skin feeling greasy or sticky! The formula also uses Tatcha's infamous Hadasei-3, which is a combination of green tea, rice, and algae. 2. 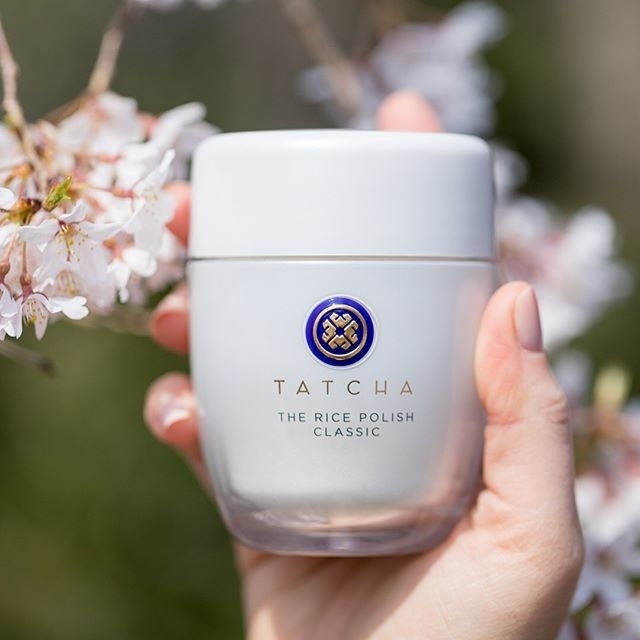 The Rice Polish Foaming Enzyme Powder is a water-activated exfoliant made of Japanese rice bran that turns into a foamy cream perfect for deep cleansing — and won't damage your skin. 3. Luminous Dewy Skin Mist moisturizes your skin before or after makeup application with a refreshing mist that leaves your face looking dewy and feeling vibrant! 4. Violet-C Radiance Mask instantly reduces uneven texture and adds a radiant glow to your skin with ingredients like Vitamin C, beautyberry, and 10% AHA complex which removes dead skin buildup and promotes new skin cells. Leave it on for 15-20 minutes and then rinse with warm water. 5. Luminous Dewy Skin Mask delivers botanical oils on a silky smooth microfiber sheet that is 100 times thinner than a strand of hair! What a luxurious way to end the day. 6. The Indigo Cream is a fragrance-free moisturizer for anyone who has sensitive skin and needs long-lasting hydration (hello winter). It has ingredients like Colloidal Oatmeal, which is a skin protectant that helps relieve irritation caused by eczema. Awarded the National Eczema Association Seal of Acceptance. 7. The Deep Cleanse unclogs pores with an oil-free gel cleanser that won't strip your skin of its natural oils, causing unwanted drying. It uses amino acids derived from silk (wow fancy) and fibers from the Japanese Luffa fruit to exfoliate. Both have been used as a natural beauty agent for centuries. Japanese Wild Rose also tightens pores! 8. Purifying & Pore-Perfecting Trio includes all the bestsellers you want at a price you need! Seriously, this is such a good deal! 9. Gold Camellia Beauty Oil gives your skin a rich glow (literally) in the form of 24-karat gold. It improves dry skin with licorice extract, which calms the skin and reduces redness. It also seals in much-needed moisture with Camellia oil. 10. Blushing Lips Duo is a great way to get even more for your money and try a combination of new products you haven't gotten your hands (or lips) on yet! The set includes: The Kissu Lip Mask and Peony Blossom Silk Lipstick. 11. The Pearl Tinted Eye Illuminating Treatment uses Akoya pearl extract to brighten your under eye and color-corrects where needed for uneven skin tone. The formula makes you glow from within, packing on nutrients without the cake-y effect that concealer can have. 12. The Starter Ritual Set allows you to try out a mix of products that are selected for your skin type, so you can test out your very own routine with up to two weeks' worth of skincare. 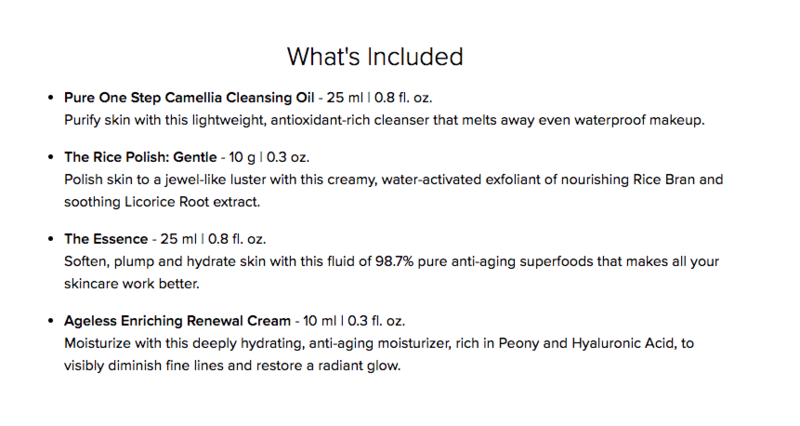 The set includes: Pure One Step Camellia Cleansing Oil, The Rice Polish: Gentle, The Essence, Ageless Enriching Renewal Cream ($89 value). 13. 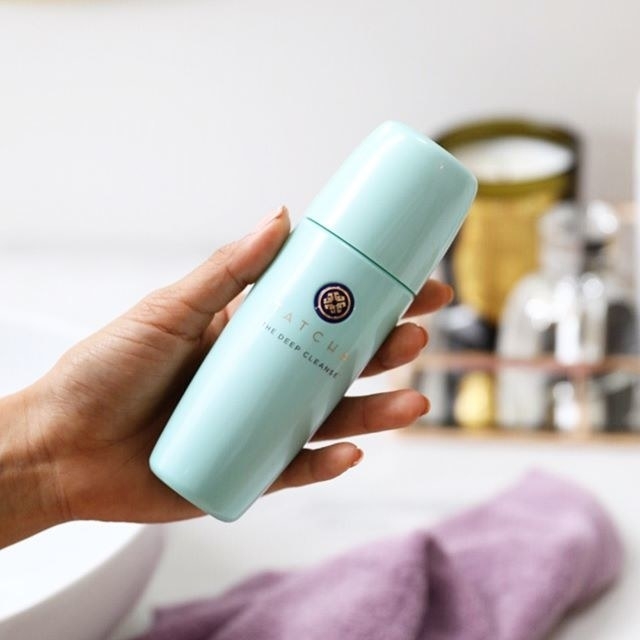 The Essence Plumping Skin Softener does just that — it softens and plumps your skin with 98.7% Hadasei-3 (aka a blend of green tea, rice, and algae). 14. The Silk Cream weightlessly adds moisture to your skin leaving it silky smooth and hydrated without any oily residue. 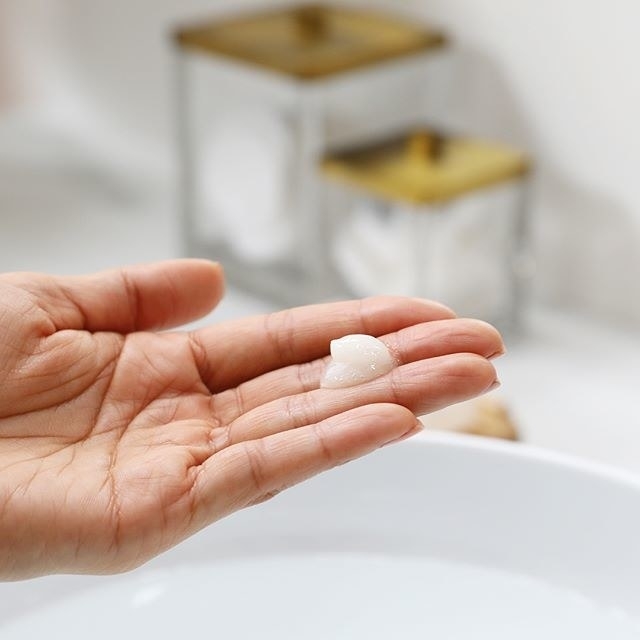 Plus ingredients like Akoya pearl helps nourish natural collagen in the skin for a smoother look. Don't forget to use code FRIENDS18 for 20% off! Cheers to you and cheers to Oprah even though she has literally nothing to do with this.